How can I check the balance on a Sainsburys gift card? You can check your balance with your card number and PIN on the Sainsbury’s website by clicking here. 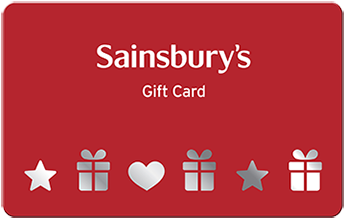 You need to register your Sainsburys giftcard online in order to see the balance – however this feature also allows you to see detailed information on transactions on the card and also to block it if you lose it or have it stolen. You can also top up your Sainsbury’s gift card. Alternatively, you can get balance and top-up help with your Sainsbury’s gift card by calling them on free phone 0800 636262. Does a Sainsbury’s gift card expire? Yes – if no transactions are made for 24 consecutive months, the card will automatically expire and you’ll lose any balance on it. A novel product – Sainsbury’s offer a two-part gift card for students and their parents. These are only available for sale in Sainsbury’s stores – they are not sold online. The parent keeps the top card and presents it at the till the ‘top up’ the companion ‘student’ card, which can then be used to buy student essentials such as baked beans, Kellogg’s Frosties (or nearer the end of term Sainsbury’s Frosted Flakes, which are just as good), pizza and bottles of vodka. 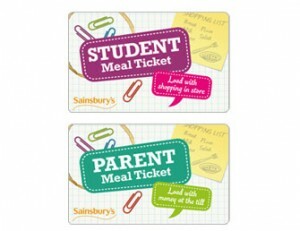 The card can also be registered on the Sainsbury’s website and topped up online if more convenient. Where can I buy Sainsbury’s gift cards? 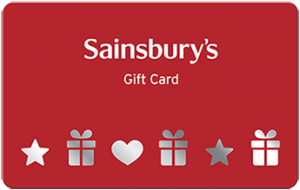 You can pick up a range of Sainsbury’s gift cards in Sainsbury’s stores. Sainsbury’s don’t sell their gift cards online directly to the public (though they will if you’re a business and you want more than £1000 worth). You can purchase a Sainsbury’s gift card online from High Street Vouchers – if you get one for between £20 and £100 then postage is free, otherwise you’re looking at 99p postage for under £20 and £3.50 postage for more than £100. There are other sellers online, however this is the only one we’ve found with free postage. Just found out that my Sainsbury’s shopping card has been debited £125 pounds for ‘account breakage’ due to non use for two years although I have made balance inquiries and requested a user name and password reminder during that time. It wasn’t used in store but does say on the card that the two year period includes balance inquiries which indicates the card has not been abandoned by the user. Very disappointing that this is not made clearer.